Welcome to SitcomsOnline Digest! We're starting to get into pilot season and we're hearing a lot about new pilots, and only have a small bit of that news here (there are way too many to mention them all, and a lot will never make it to air anyway). Additionally, Jeff Franklin has been fired from Fuller House, and we're hearing some Murphy Brown casting news. Let's get going! 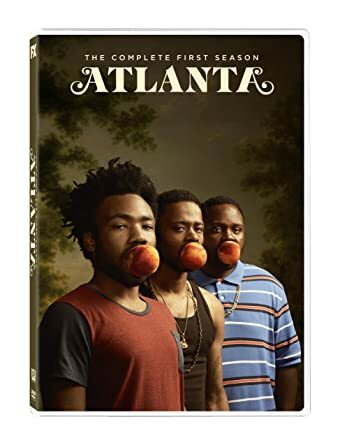 Atlanta - The Complete First Season (DVD, $29.95): The first season of the Emmy Award winning series starring Donald Glover arrives on DVD in this release. The NBC series Champions debuts on Thursday night. Love is all around on Decades, as they air a marathon of The Mary Tyler Moore Show all weekend. A new (regular) daily lineup begins on Decades on Monday, and you can see it here. The Oscars are airing Sunday, and ABC will be previewing a new talk show, Sundays with Alec Baldwin, at 11:35 PM ET/10:00 PM PT.